This is the debut CD for my brother, Larry Jasinski. Both Larry and I (his sister Lei) perform on it as the musical duo L J. I am extremely proud of this beautiful work--a collection of Larry's songs that speak to an emotional journey through love, pain, and ultimately enlightenment. for the Imaginary Dawn CD. The cover is an original watercolor by Larry Jasinski and became the inspiration for the array of dawn hues that grace the CD booklet and tray card. Order your personally autographed copy today! Larry Jasinski is a musician/composer who lives in the Texas Hill Country. He has inspired countless students of guitar, piano, and music theory through his years of private teaching. Electronic keyboards are his favorite musical instruments. 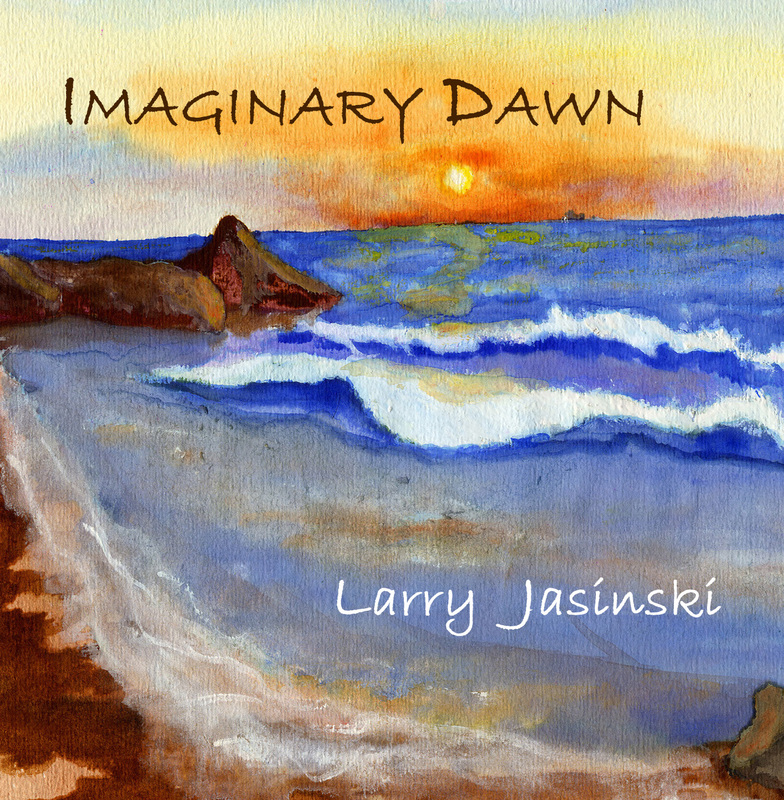 His CD Imaginary Dawn is a triumph over years of struggle with bipolar disorder, and Larry hopes to inspire others to be strong in their fight. He is also currently composing a piano concerto. 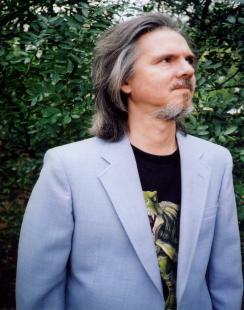 Mark Suppantz, reviewer for The Big Takeover, described Larry as a "talented keyboardist, guitarist, and composer." He concluded, "Here's hoping this release is a stepping stone to Jasinski's full recovery, as this LP is too darn delightful to be his swan song." Over the years Larry and I have performed as simply L J. 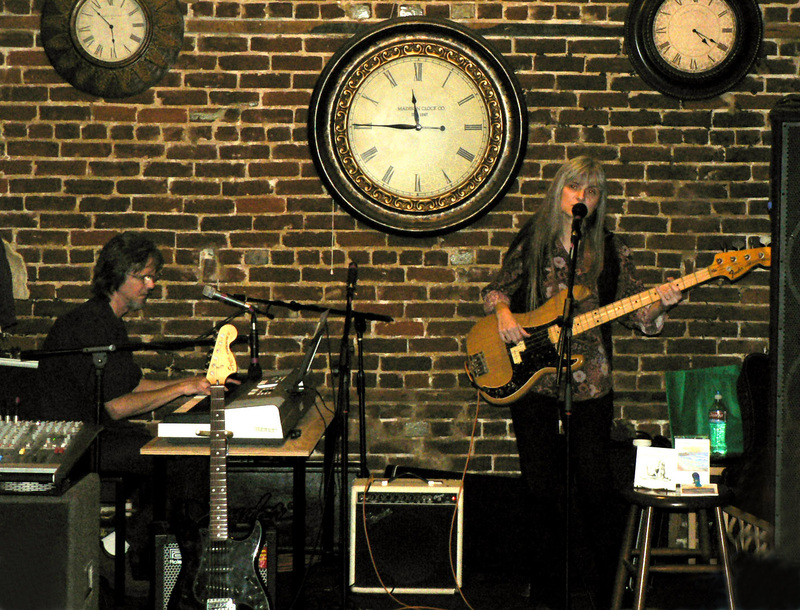 We play our own progressive contemporary--a blend of progressive pop, rock, and jazz--with some classical influences. Imaginary Dawn is the culmination of years of dreams and struggle. You can order Imaginary Dawn CDs direct from the Red Nickel site. CDs are also in Texas area stores---(Waterloo Records [Austin], Hastings [New Braunfels], Storiebook Cafe [Glen Rose]). Also part of the collection of Texas music at the Bob Bullock Texas State History Museum Gift Shop [Austin]. CDs can be purchased online at CD Baby. Downloads are available on CD Baby, Amazon, and iTunes. The Imaginary Dawn Promo Card and Poster! This project could have not come to fruition without Gary Hickinbotham. His tireless work and compassion has carried us through the years. Gary, chief engineer at Fire Station Studios in San Marcos, has amassed an impressive body of work, including Doug Sahm's Indie-winning Juke Box Music and the Grammy-winning Texas Tornados. As owner of the Red Nickel Records label, he's given Imaginary Dawn a home. As my husband, he's given years of support and love. 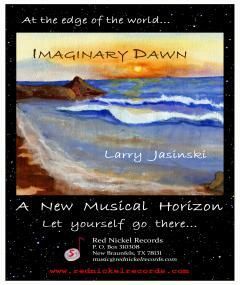 Visit Imaginary Dawn on Red Nickel Records. "...indie gem of an album..."
Eric Harabadian, reviewer for Progression, commented, "...this group serves up an infectious sound...."